Invigorate your senses with the alluring fragrance of Envy 1000 Fiery Deodorant, which exudes an intense yet soothing, masculine yet gentle fragrance that sets you apart from the crowd. Additional Information: Vanesa offers a wide range of Deodorants, which are specially designed for men and women giving them a lasting redolence and replenishing sense of purification and liveliness. 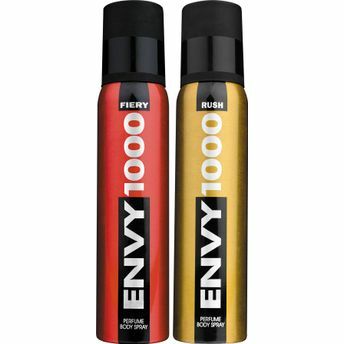 Envy 1000 Fiery Deodorant emanates a blend of best scents that are crafted with perfection to complement a man?s personality. Additional Information: Venesa offers a wide range of Deodorants, which are specially designed for men and women giving them a lasting redolence and replenishing sense of purification and liveliness. 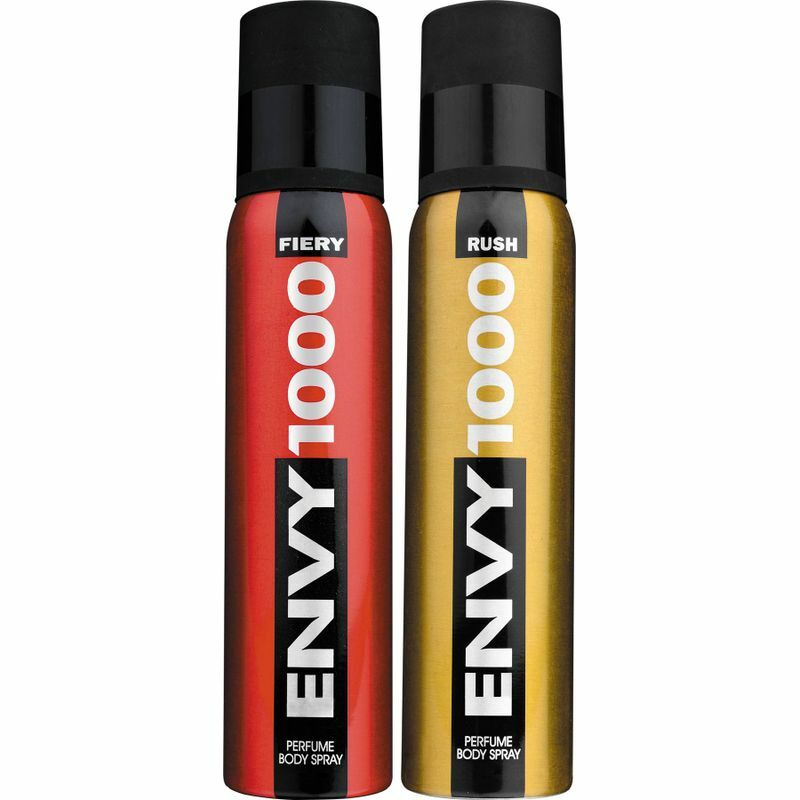 Envy 1000 Rush Deodorant emanates a blend of best scents that are crafted with perfection to complement a man?s personality.